Show Racism the Red Card - It doesn’t ALWAYS rain in Wales! Brief: Write an article about your first month at Show Racism the Red Card Wales. Expectation: A very serious environment where we work tirelessly to stamp out racism in our society. 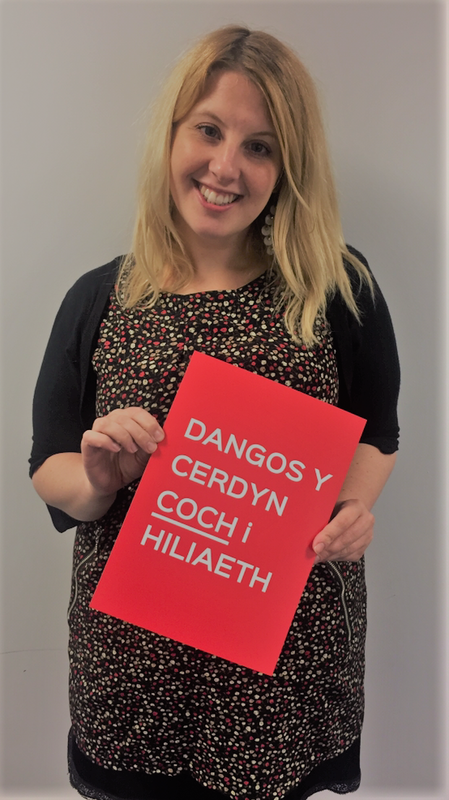 Reality: Racism can be an extremely heavy topic but I’ve seen so many pockets of sunshine during my first month with SRtRC Wales. It doesn’t ALWAYS rain in Wales! 2. Making my grand debut (read: sat quietly at a table of lovely people) at the annual away days in Newcastle. This was without doubt a perfect introduction to the charity – lots of interesting new faces to meet, team bonding, activity and funding updates, and thought-provoking lectures on issues such as immigration and the far right. I left that gorgeous city giddy with enthusiasm and raring to go. 4. The positive response to Wear Red Day from schools and workplaces (Don’t worry, there’s still time to sign up!). 5. The fact that no two pupils have yet discovered that they have exactly the same skin colour and the gratifying response of ‘Miss, racism is just stupid then’. Yes my friends, yes it is. 6. The lovely, intellectually challenging team that I get to work with every day. 7. Having the time to contribute to resources that can support busy teachers to bring anti-racism into the classroom. Summary: I think I’m going to like this job!